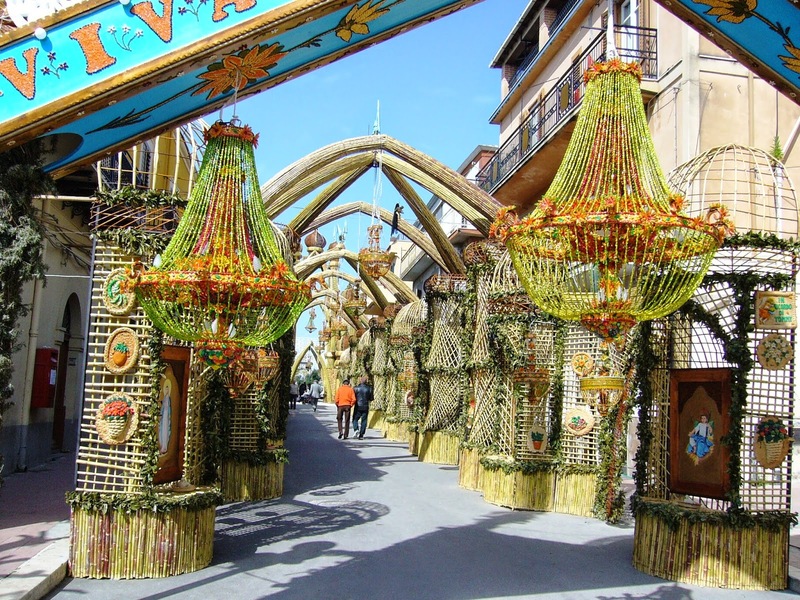 The tradition of Easter Arches, in the village of San Biagio Platani, in Sicily, dates back to the seventeenth century and is very impressive and moving. It involves the construction of magnificent structures of arches, domes and bell towers with poor material like reeds, willows, bread dough. Also looking at them, located along Corso Umberto, it seems impossible to build similar structures! Each year, the aesthetics of the Corso changes but the architectural scheme formed by an entry, an avenue and an arch remains unchanged. A deeper meaning mirrors the entrance as the facade of a church, the avenue as the nave and the arch as the apse. The village is divided into two brotherhoods, the Signurari and the Madunnari, working for months to weave the reeds and willows and to realize all the decorations that are placed along the avenue under the Arches. We saw beautiful chandeliers made with broad beans and beans, paintings made with bread dough, and then fountains, wells with buckets hanging from the chains, fences of gardens, ponds for animals and characters, all made with bread dough. Looking around, everything is marvellous; the day view is spectacular, but it becomes even more impressive at night with the lighting! 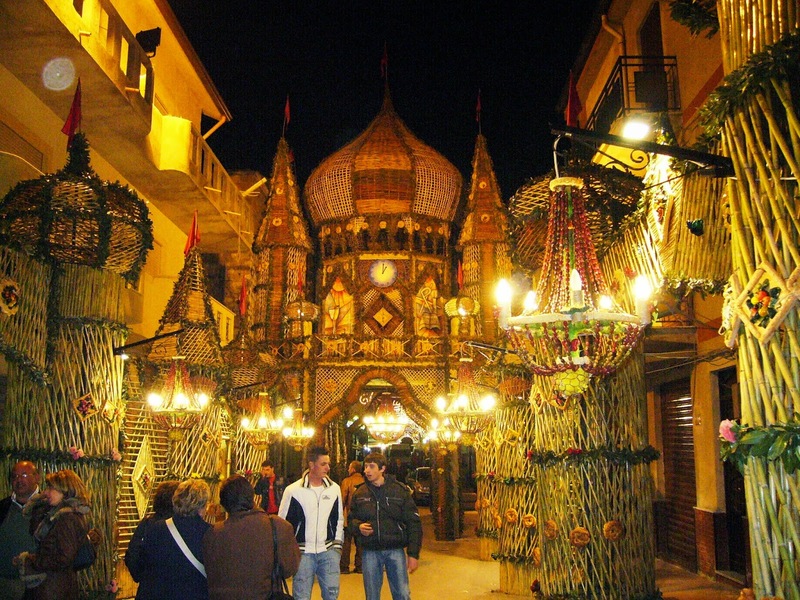 Arches are ready by Easter morning and welcome citizens and tourists who participate in the religious ritual of the meeting between the risen Jesus and the Virgin Mary, a meeting that takes place in the central part of the Corso. 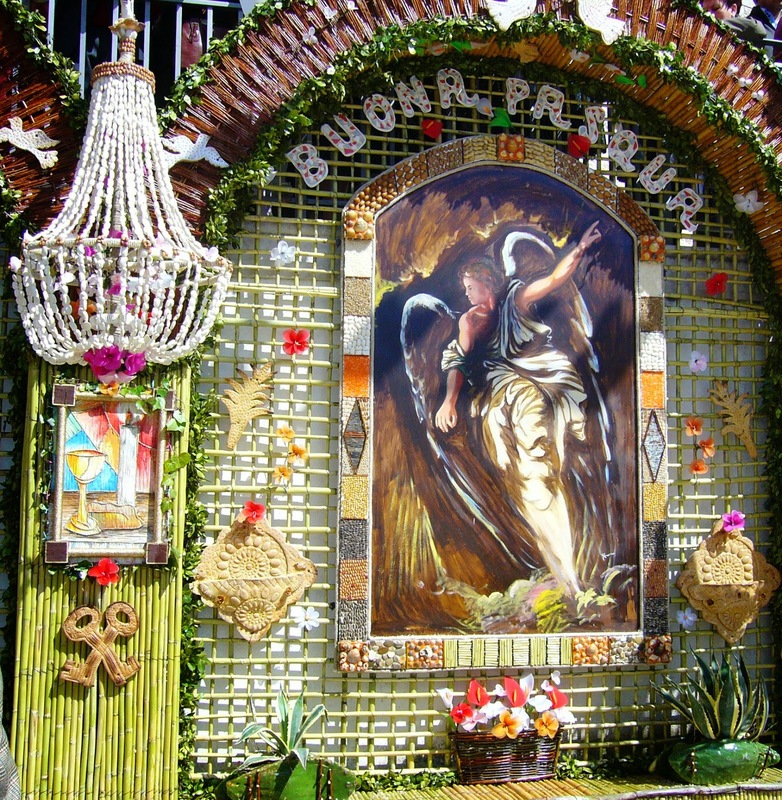 The cultural and artistic show goes on for a few weeks after Easter. 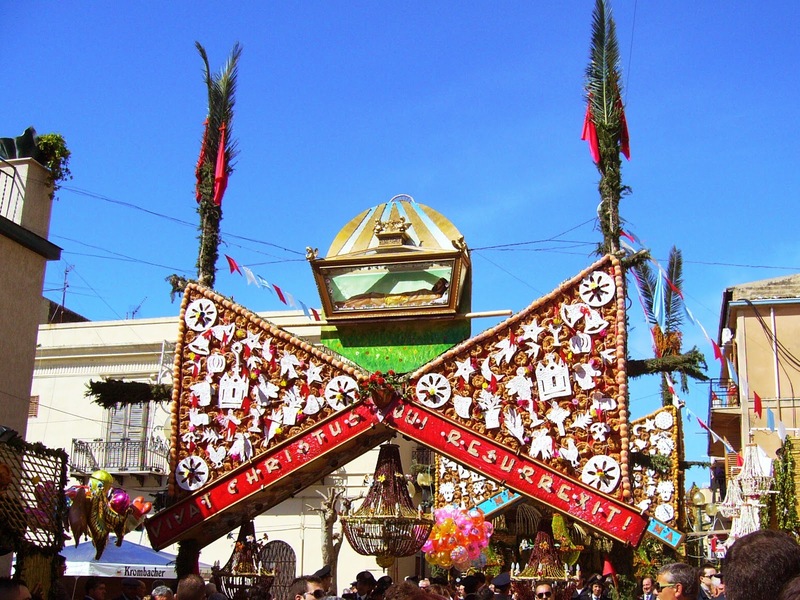 In 2016 the Feast of Easter Arches is scheduled from March the 26th to May the 7th and after the dismantling Corso Umberto this wonderful work will be preserved at the Museum of Easter Arches. 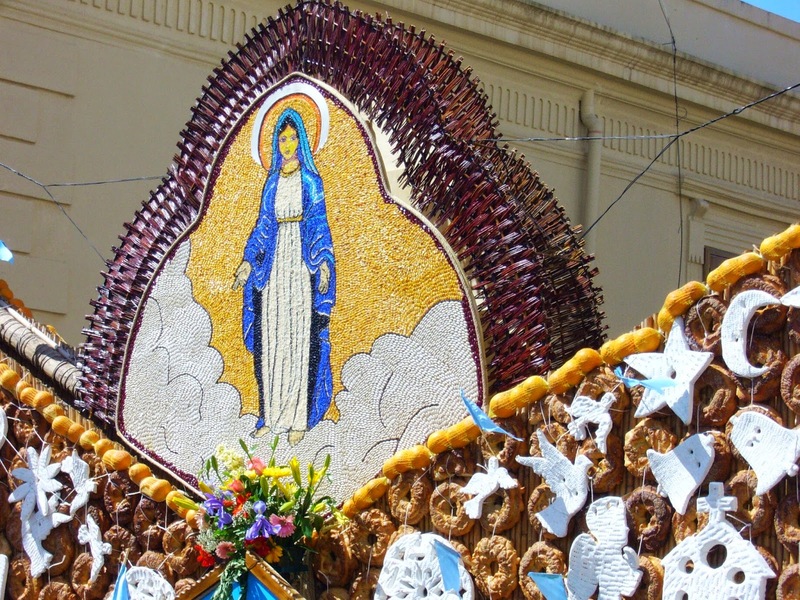 Definitely we will plan to return to San Biagio Platani for one of the next edition of this wonderful party and if you want my advice, do not miss one of the most beautiful traditions in Sicily and, I would even say, of our beautiful Italy.